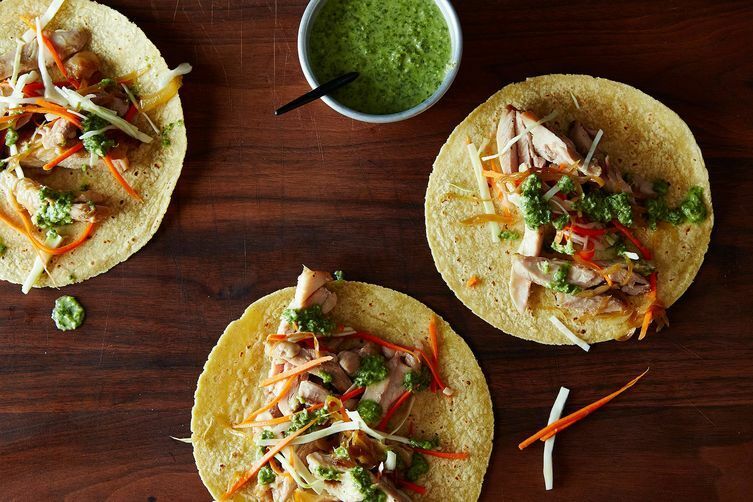 Today: Ditch the long lines for tacos. Transport yourself to Abbot Kinney Boulevard in Los Angeles. It’s the first Friday of the month, and the gourmet food trucks have come out to play. In this land of fusion food, the best Korean tacos are worthy of a two-hour wait. But while this moment is great, it’s time to liberate yourself from the food truck lines and make a new friend in this recipe for Not Your Traditional Korean Tacos. Although the ingredient list may seem daunting, you can make as many or as few toppings for the tacos as you like -- they're flexible that way. Double the recipe to host a margarita night or give your desk lunch a pick-me-up. Serve the taco fixings on top of a bowl of rice, beans, and guacamole instead to create a hearty taco bowl.